The Carlton is a non-smoking family run Hotel catering for families and couples where you can expect a warm and friendly welcome. Ideally situated in Blackpool town centre we are close to the Tower, Theatres, Beach and Piers. All major attractions including the Zoo, Pleasure Beach and Sealife Centre are easily accessible. 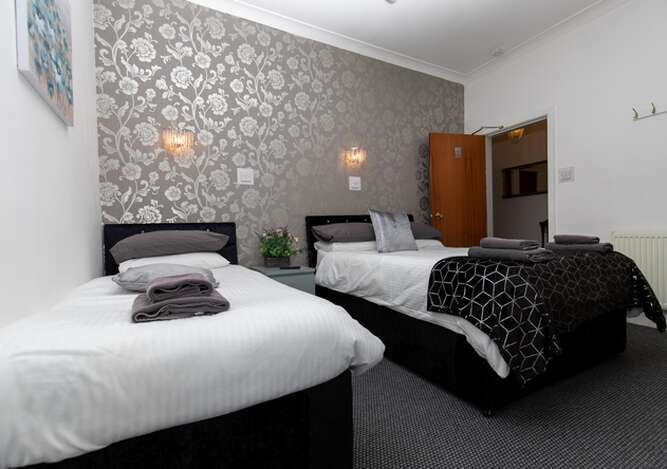 Being only 2 minutes walking distance of the Winter Gardens The Carlton offers a convenient base for your stay. It's so easy for guests attending Conferences, Dance Competitions, Blackpool Hairdressing Competitions, The George Formby Convention, The Magicians, The Punk Festival, British Homing World Show, World Fitness Experience, Keep Fit Association, Chess Competitions etc. We have 16 en-suite bedrooms with a choice of Double, Twin and Family rooms, modern and tastefully decorated. Our on site shop provides everything from your morning newspaper to toothbrushes during the season.